I am so glad I stumbled apon this thread. From what little footage I have seen of this tractor I am super impressed. It's great to see a Cub hittin the trails with the rest of them. This build reminded me that you don't need a Wheelhorse or a Sears to make a great trail rig so that inspired me to start work on my Bolens 1050 again. Some questions I have are you running the stock clutch? And is it tough enough to take all that power and abuse? Did you increase the gearing? 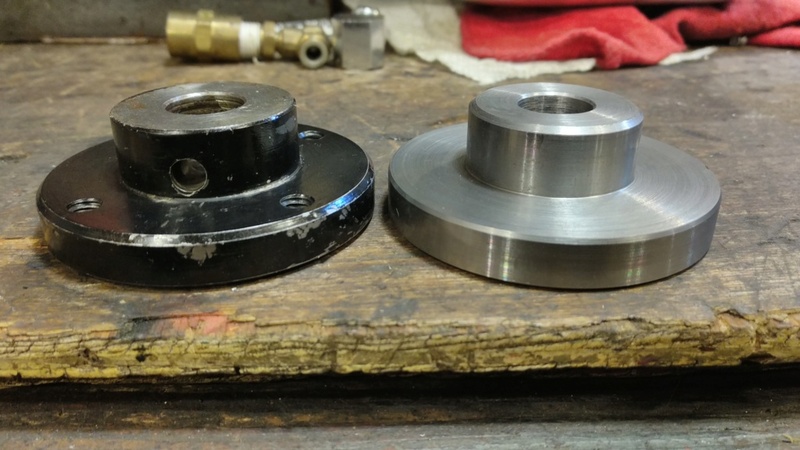 I have seen blueprints for a custom driveshaft and clutch design for Cubs designed for pullers and I have wondered if that is necessary for offroading. Sorry about all the questions. I am not that knowledgeable about Cub Cadets. Thanks. Location : Grand Rapids, Mi. @mowerjunkie03 Thank you glad you found Keizer impressive. Please ask all the questions you wish it is absolutely no problem. My answers tend to be way overboard so my apologies in advance. It depends if you like to clutch dump and do wheelies than no way will stock hold even on stock 16hp trim. Keizer's clutch has been designed to handle just that "Wheelies in top gear and motor cranked" so far 24hp, 27" tires and 47% overdrive gear setup and still holding. It is a two stage engagement with two disks that delivers lower clutch pressure and adds feel to the mix. Was able to make it on the cheap as well. Pulling the motor in and out all the time with cubs stock drive line set made for challenging installs and removals. Something had to change so the drive shaft was modded to help with that. 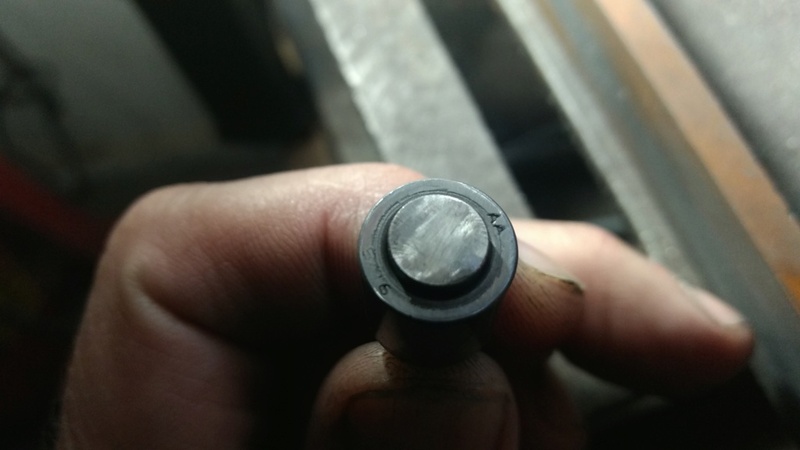 Installed a constant velocity joint from a newer cub which had the bigger diameter drive shaft too, perfect for what was about to happen to it. "Big RPM clutch drops"
Woods running a good clutch is needed to help clear out your tires to either get out or go deeper or to bounce over a log. When you have inches to a foot to get the "get out jail free card" there is no room for clutch slippage. Found this out the hard way missed dinner and got laughed at. Still funny today. Wrote up a little story about that on FaceBook's Cleetus joe along with other mods done to Keizer. 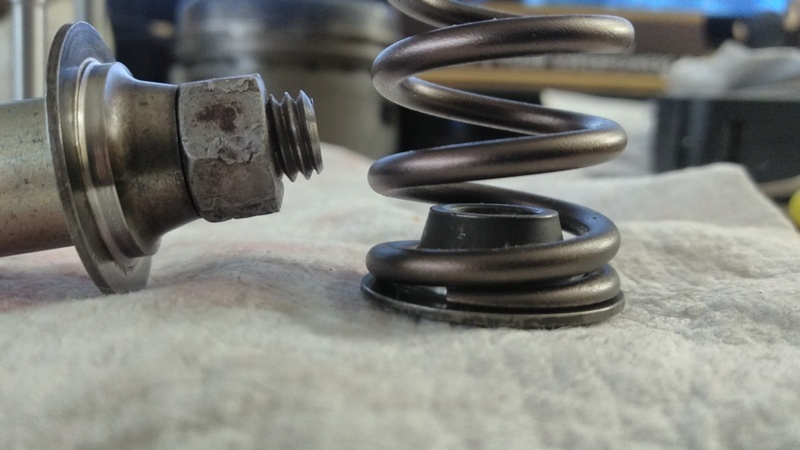 Pulling clutches are way to pricey that require major spring pressure to hold them and they have no feel. No thanks. Cheap strong and holds a ton literally with little pedal effort. PS thank you for your interest and stay tuned lots more content coming this way. Wow thanks for the response. I am glad to see this whole new level of professionalism brought to the mower modding community. I hope to some day have the knowledge and skill tk innovate on this level. I this clutch design something that could be used on other GTs with sprockets and chain do away with slippage? @mowerjunkie03 Just by asking questions puts you well on your way. 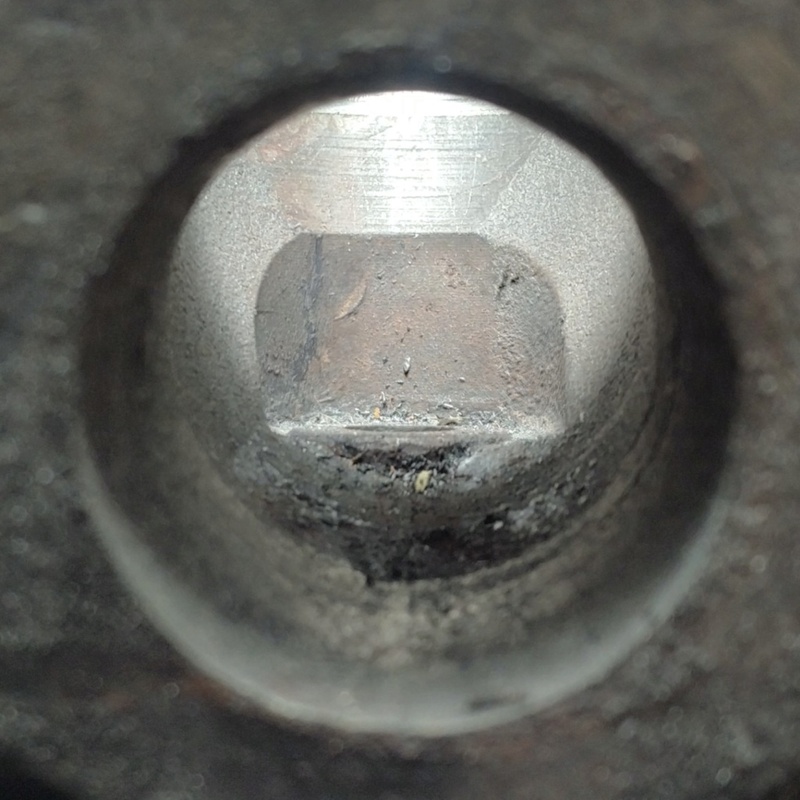 Ok at a loss here and need your view to see if the clutch can be retrofitted for your use. Space constraints for the cub setup roughly 15"x12". By changing orientation one could put a driven double pulley or sprocket in there somewhere. What do you think? Double pulley would stop most of the belt slippage plus you could add more tension to the belts. That's it love your question, you have earned the question of the week, congratulations job well done. Stay tuned lots more stuff heading this way. That's a neat clutch there. It never occurred to me to put the clutch spring on the shaft like that. Very slick. What part on the clutch did you modify? Seems as if a few folks are confused here, talking about belts and the clutch on a narrow frame Cub Cadet. These machines aren't like what most of you have been working on, they're a genuine miniature farm tractor, with a direct shaft drive, gear box, and rear end borrowed from the Farmall Cub. When this tractor was new on the lot in the '60s, it was priced higher than some cars. @prancstaman Its better to list what is left stock, Its a shorter list Pressure plates, release arm, draw bar and the lighter colored clutch disk. The goal is to see if this can hold 30hp. Super light weight retainers have a lip that is a little to big to let the spring sit and stabilize itself. Made a lathe tool to help in the matter. Spring now has a stable perch. 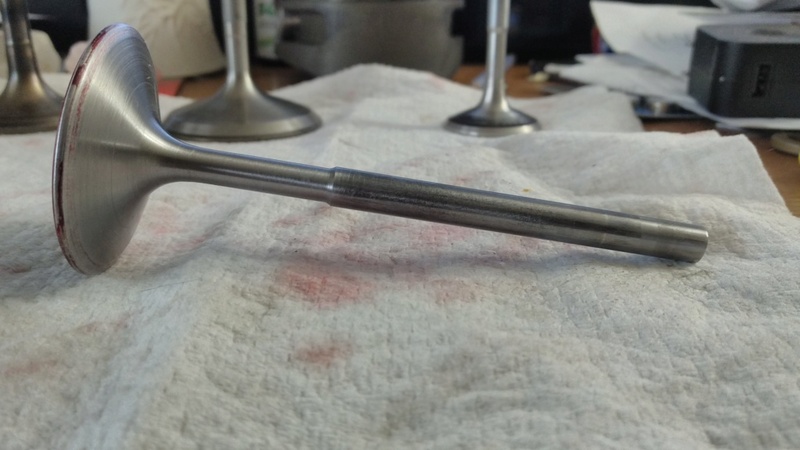 Exhaust valve prep is complete. Keeper grove cut, stem narrowed next swirl polish. Speed secret shhh! 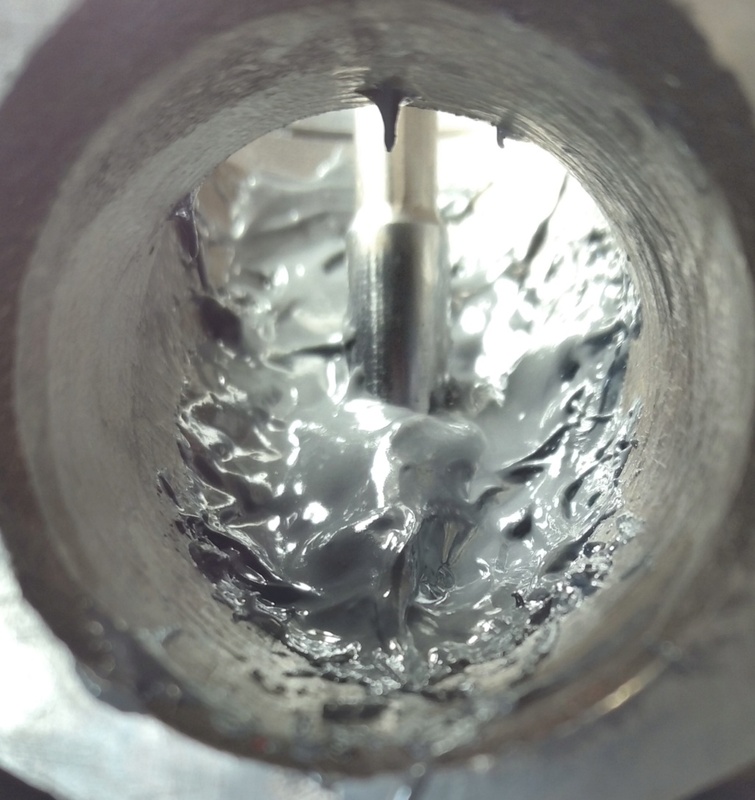 Dont tell anyone its just between you and I K. If you gotta use JB Weld in your intake use layers the stuff shrinks a little bit. Final layer. Next step form with die grinder and 1/4 diamond cut burr. Behind all that stuff is a crazy huge valve insert with a huge step. Now its going to be very smooth flowing, you'll see...Cause ima gonna show you another Speed Secret. So mums the word, what ever that means. Stay tuned lots more content. Going to cover the Creeper gear box soon. Very beautiful work! This is gonna be one MAD Kohler. 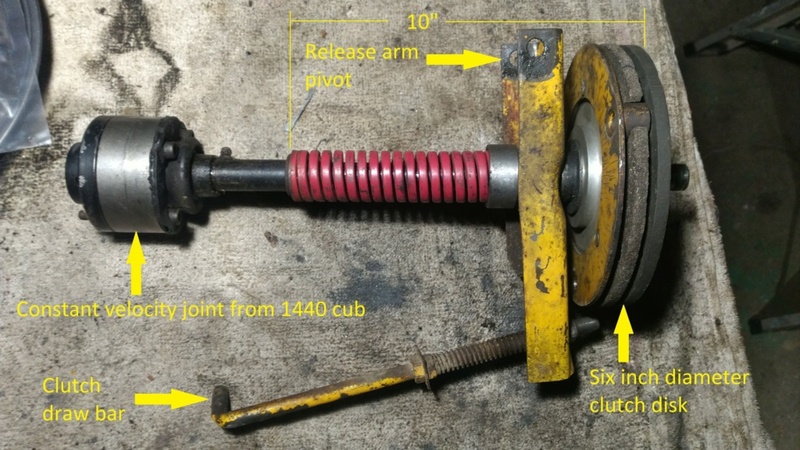 cub cadet has always used this design for there manual trans tractors with the spring on the shaft to put the pressure on the pressure plate he didn't create that set up. Yes, stock setup. I never really seen one though. I'm use to seeing and working on car/truck clutch. Bolens has always used this technique as well. This looks alot like a simplified version of the clutch on my Bolens 1050. I like to see the engine work. Makes me want to do something to my K341. Before: Notice the large wall. 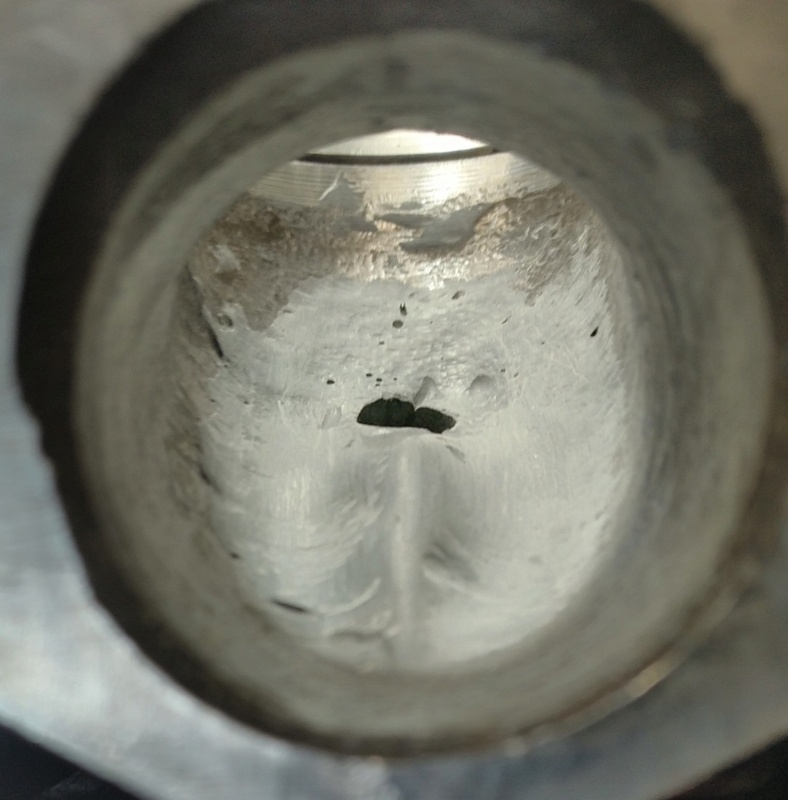 This is behind valve stem that will be filled in. 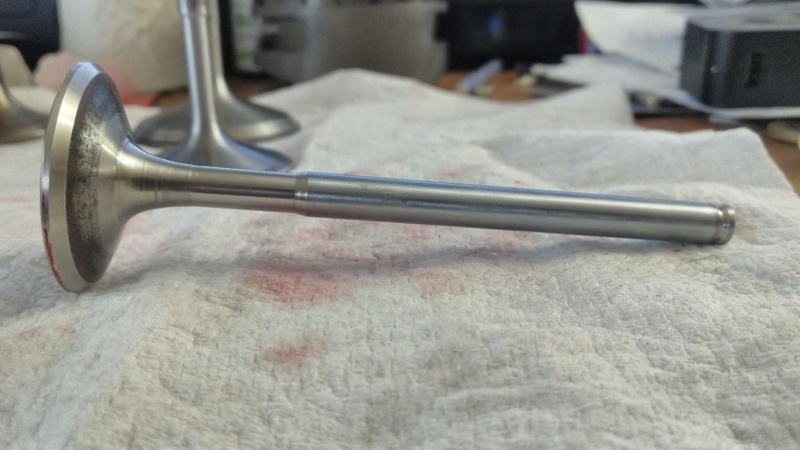 After: Trying to induce more flow to the left side of this port, hence hump before valve stem hole. Can you see the slight rise midway up on the right side? After: Form is set going to leave this rough for now. After an hour or so of motor testing will look to see how things are. Retainer work. Spring perch is a little to big. 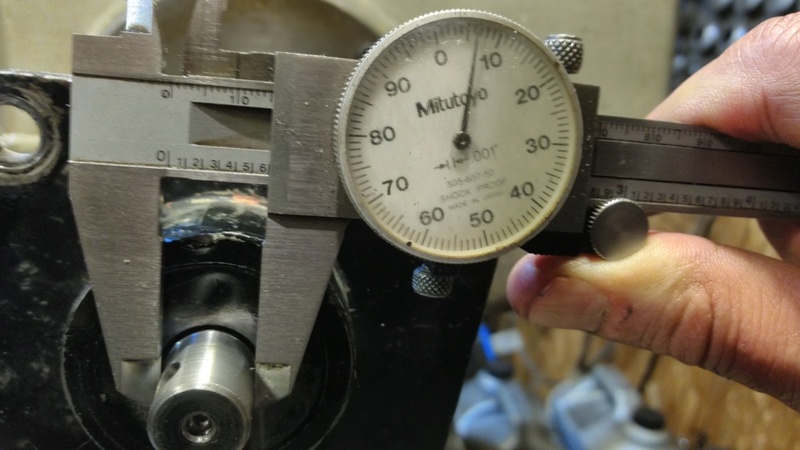 Made a tool for the lathe work to reduce the step size. Tool used and spring now sitting comfortably on retainer. This reduces spring harmonics. 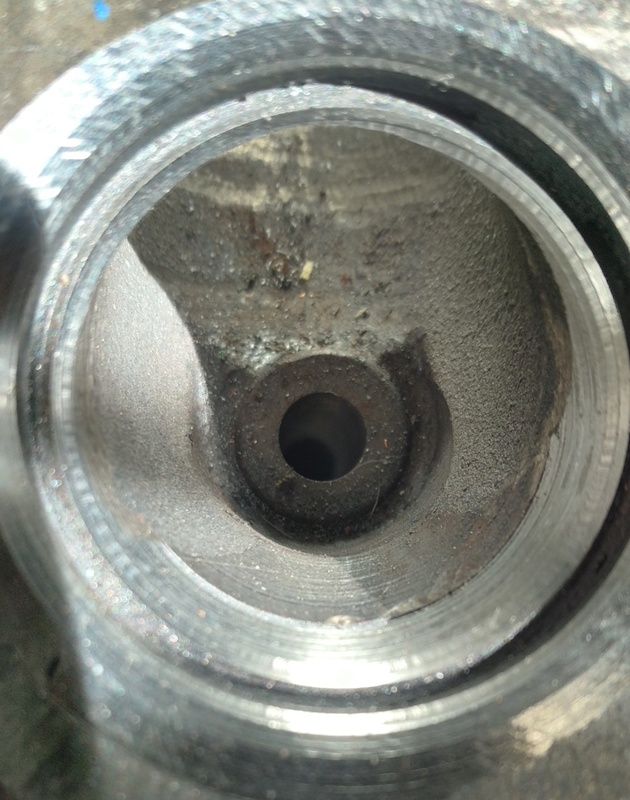 Keeper groove cut into exhaust valve. Installed into motor to measure spring height, turns out this is a little short. No worries here knew it was short going in. This valve was for setting the seat height and was a dummy from the get go and tried to fix it. 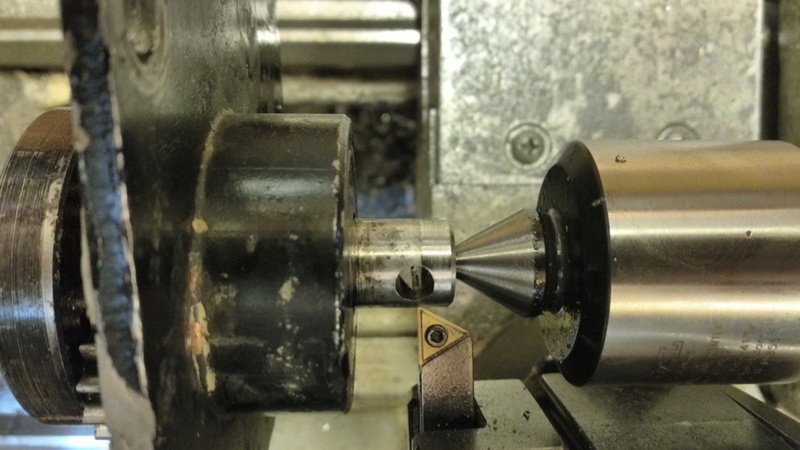 Intake: Found that the head is to big to fit into the lathe chuck for keeper groove install. So first thing first. 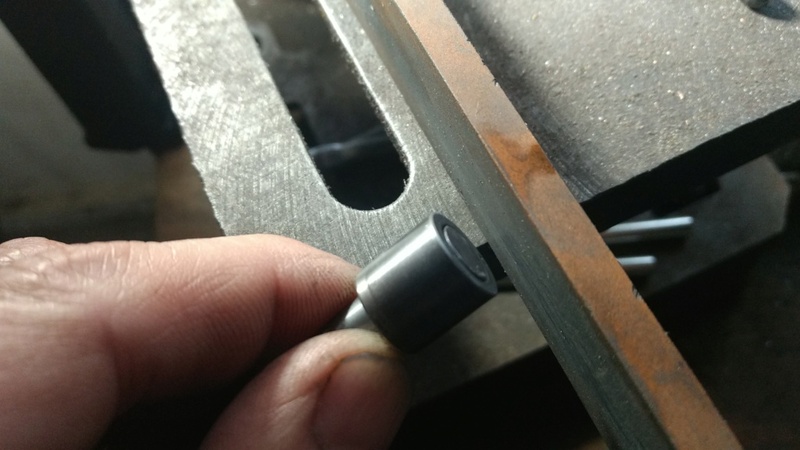 Cut the keeper groove first while there is a little more stem to work with, then shorten and clean up all angles to look like the one shown below. Me too. There is a glitch. 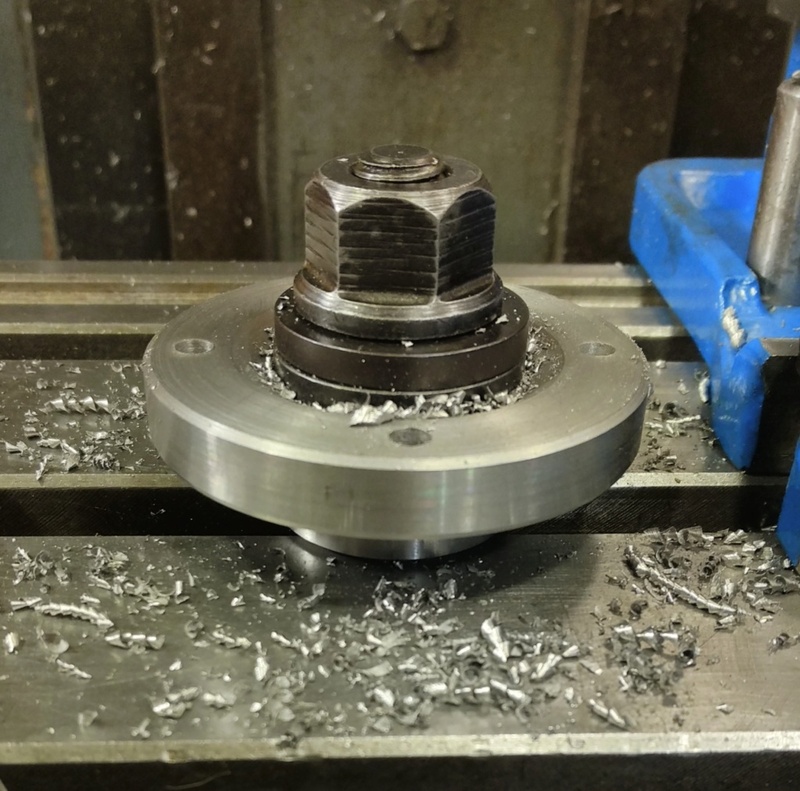 Doing a modification to the constant velocity joint base flange and input pinion of the creeper gear. 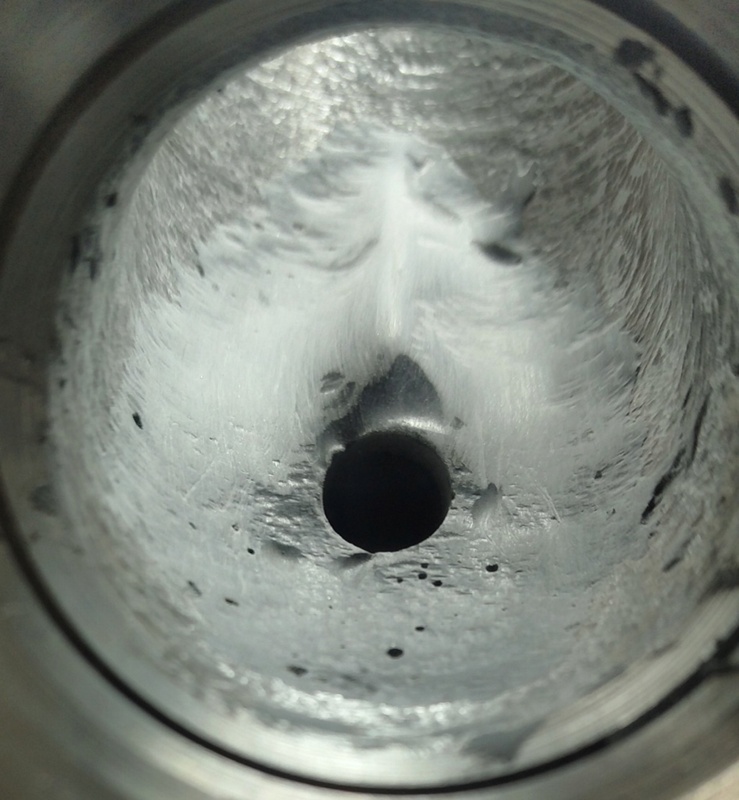 The taper and out of round condition that now exist is beyond what retaining compound can cure. I.e. last install left the compound out now it's time to repair. Creeper gear main shaft set up in lathe. Going to remove the taper and out of round condition. Hole size is on outer edge is .254 and middle .251. This going to reamed to .2535. There is a case on the outside so leaving that alone. When new the input pinion was .625. Now .607. Time to make the base flange. 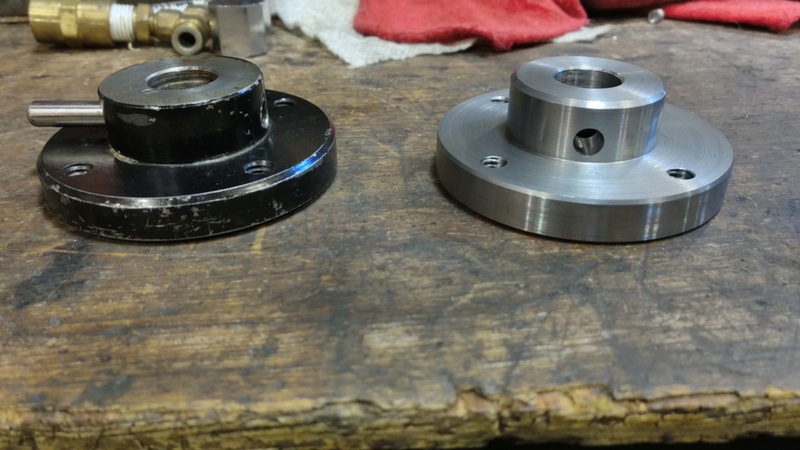 Constant velocity joint and base flange. The base flange inside id is all over the place. Going to make a new one out of 4340 pre hard to 25hrc should be double the strength of original. Saw is taking its sweet %$# time cutting through. Wonder if this is a sign of things to come during lathe work. Lathe work completed: Carbide inserts did a nice job whittling this down. 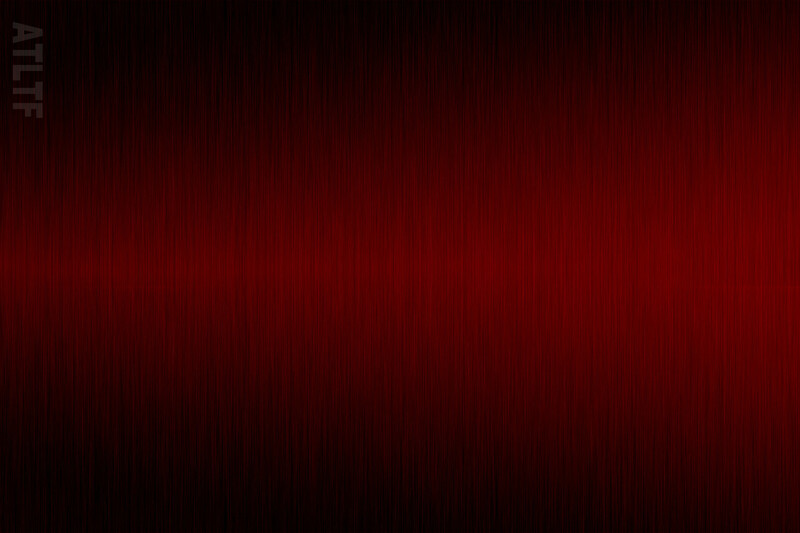 Seeings how this is a stronger material took a few moments to lighten this up. This is some beautiful machine work. Good thinking with the JB weld on the intake. Turned out great! Do you have YouTube? To cub owners - note the "roll pin" hole. IH used Spirol, or roll pins. 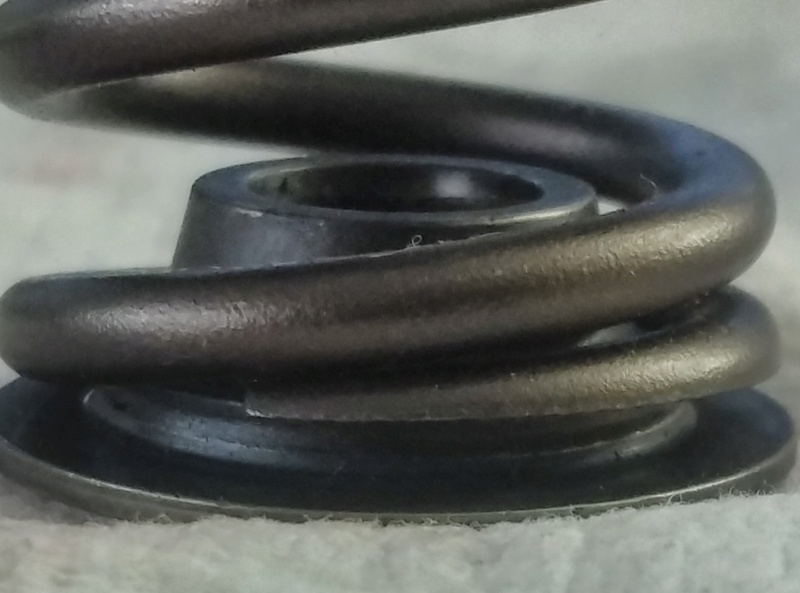 This is a pin that's a small coil of steel, made up like grandma's pumpkin rolls. Don't confuse it with a standard split pin. While they look every similar, they're not the same, and they're not nearly as strong. 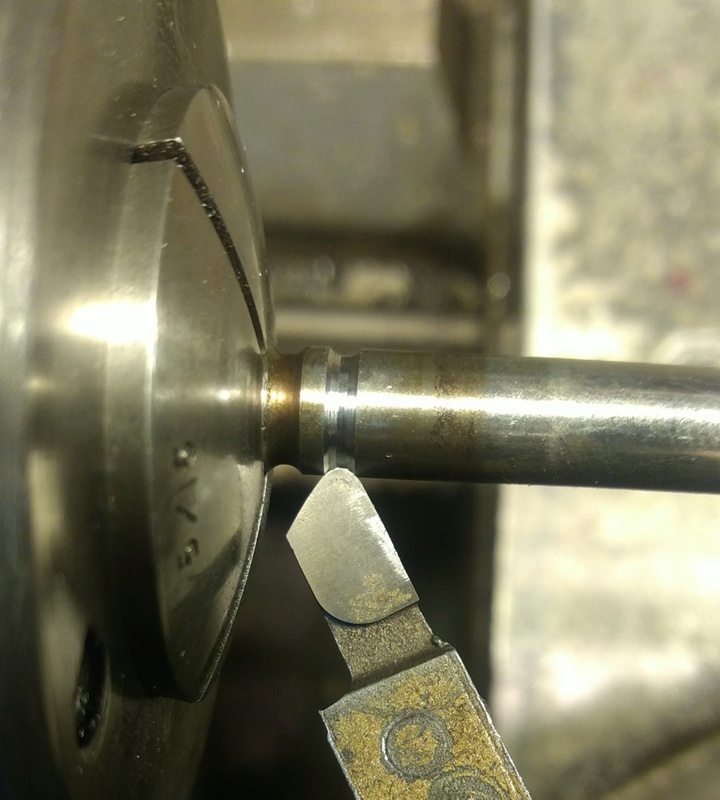 A split pin is much more likely to shear. Thank you trying my best. 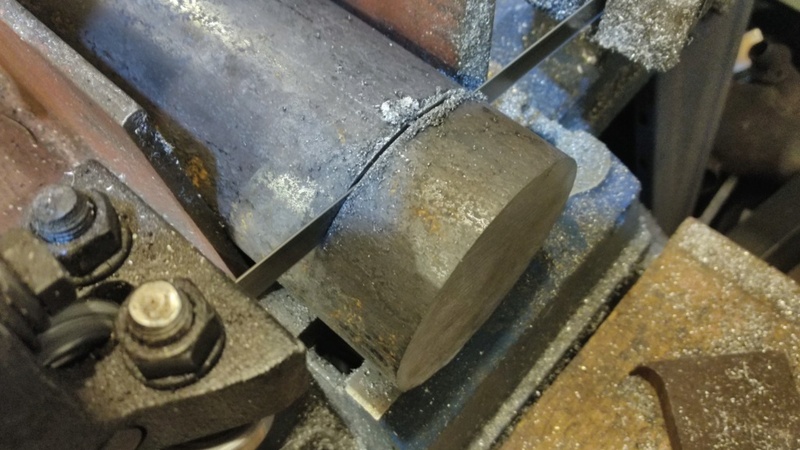 JB weld was used previously in the same port and applied it all in one shot, not a good idea, second times the charm with multiple layers maybe. Youtube handle is: Mr Studabaker or try a search for cub cadet mud mower. Lathe all set up for cutting keeper groove. Close up. 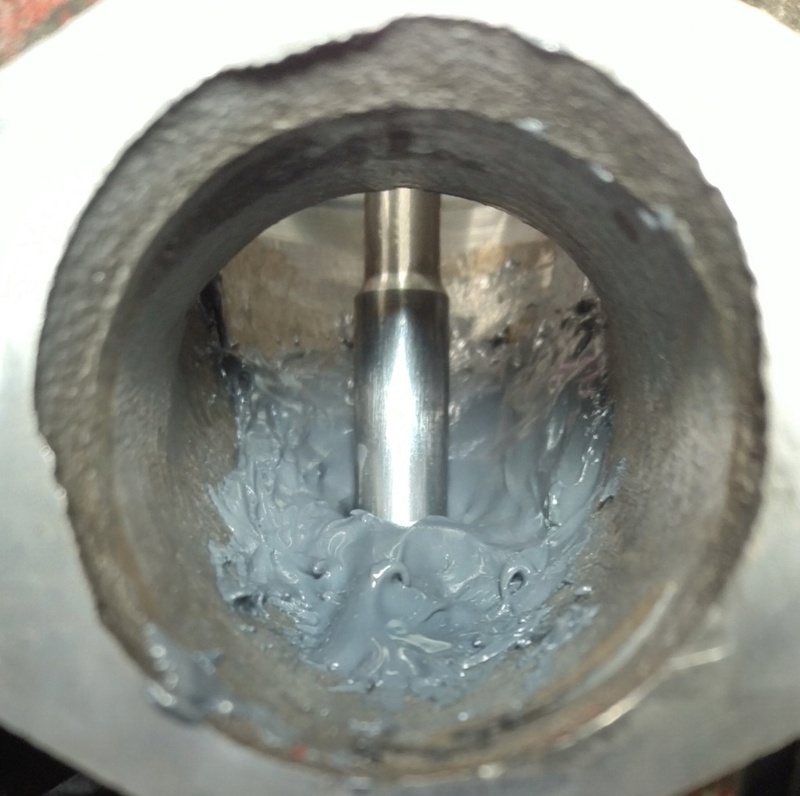 Just enough valve to stem for collet to squeeze onto. 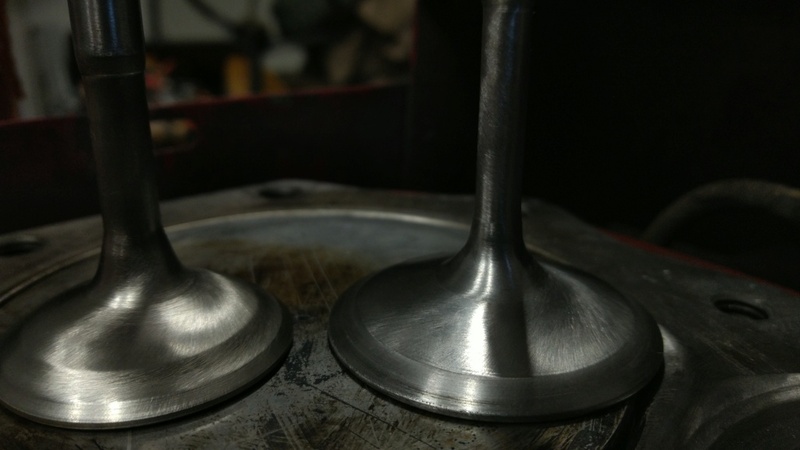 Valves are now swirl polished. 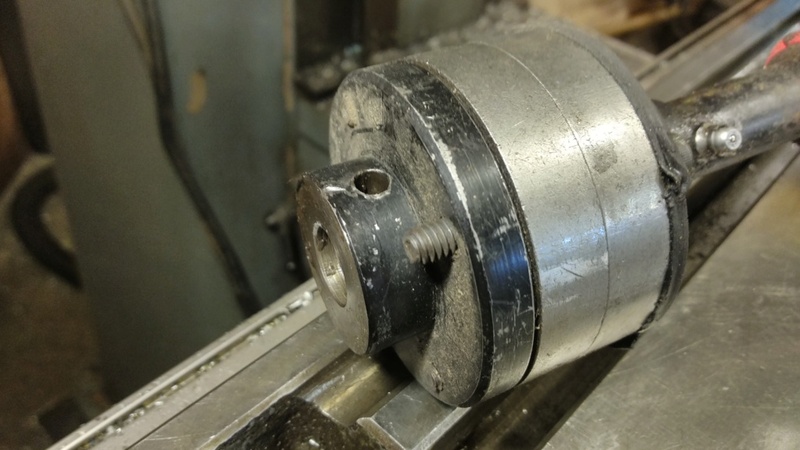 Used cut off wheel to trim stems down to close and then square them up using a 5/16 drill bushing and stone. Let me tell those suckers are hard.